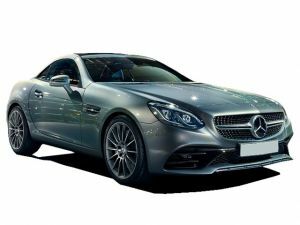 Looking to calculate Mercedes Benz SLC car loan EMI online? Our car loan EMI calculator tool will help you calculate the monthly car loan EMI. By default, the car loan values shown are, car loan amount (80% of the car's on-road price), interest rate (10.5%), and tenure period (5-years). Use the scale or text box to change the value of car loan amount, bank interest rate, or loan period. Start now by selecting the brand, model, variant, and city from the drop down. You can choose from a wide variety of brands, models, and cities in India. Also, refer the car loan FAQ section for some frequently asked questions regarding auto loans in India. The car loan EMI, which you calculate from this EMI calculator, helps as a guide only. The resulting calculations from our end do not constitute a loan application or offer. The figures and formulae used by DriveSpark may change at any time without notice. The car loan EMI calculation does not take into account any government taxes or charges, which may apply to monthly repayments or the calculation of the car loan. DriveSpark accepts no responsibility for any loses or conclusion reached using the car loan EMI calculator.